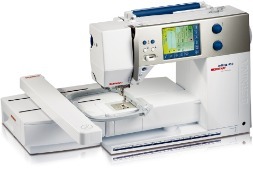 The artista 730E is a true sewing, quilting and embroidery artist with absolute top-level functions and features. Let your creativity soar like never before! 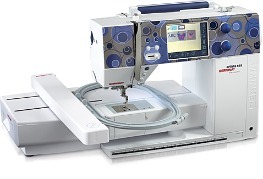 The most advanced Sewing and Embroidery System in the World with 9mm wide stitches, sideways motion stitching and the revolutionary Bernina Stitch Regulator (with zigzag!) and fully rescalable artista embroidery, all included. If you can imagine it, you can create it, easier than ever before. 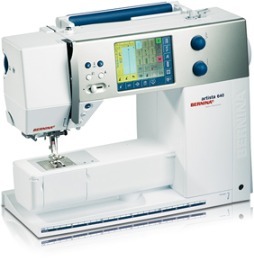 The artista 730 is a true sewing and quilting artist with absolute top-level functions and features. Add the optional embroidery module to make this extraordinary sewing computer a fully-fledged embroidery system. The patented BERNINA Stitch Regulator (BSR) automatically ensures equal stitch lengths when sewing and quilting at variable speeds – opening a new world of creativity. 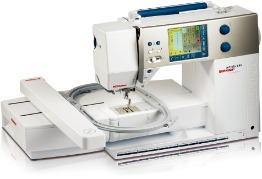 The artista 640E is a highly developed sewing computer with a comprehensive range of utility and decorative stitch patterns. The artista 640E is related to the aurora models in terms of their technical capabilities and design. It is the modern design of this innovative sewing and embroidery system that first attracts the eye. The large color touchscreen and multi-function buttons are reminiscent of its big sister, the artista 730E. This model offers unique features with many timesaving components and functions. 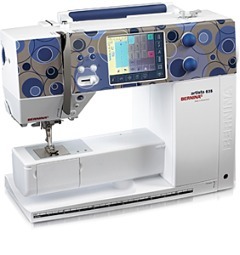 The Limited Edition artista 635 comes with a variety of decorative stitches, sewing alphabets and stunning embroidery designs, along with an embroidery module. Easily add your signature touch to any project. 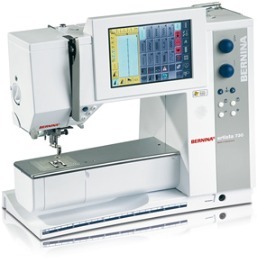 The unique design featured on the front panel is a BERNINA first featuring skin technology! 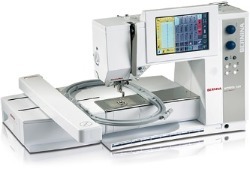 The artista 630 is a highly developed sewing computer with a comprehensive range of utility and decorative stitch patterns. The artista 630 is related to the aurora models in terms of their technical capabilities and design. 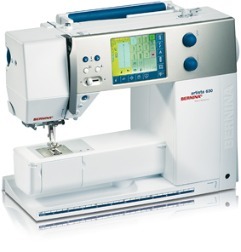 It is the modern design of this innovative sewing and embroidery system that first attracts the eye. The large color touchscreen and multi-function buttons are reminiscent of its big sister, the artista 730. This model offers unique features with many timesaving components and functions. The artista 630 and 640 are related to the aurora models in terms of their technical capabilities and design. It is the modern design of these innovative sewing and embroidery systems that first attracts the eye. The large color touch screen and multi-function buttons are reminiscent of their big sister, the artista 730. These models offer unique features with many timesaving components and functions.